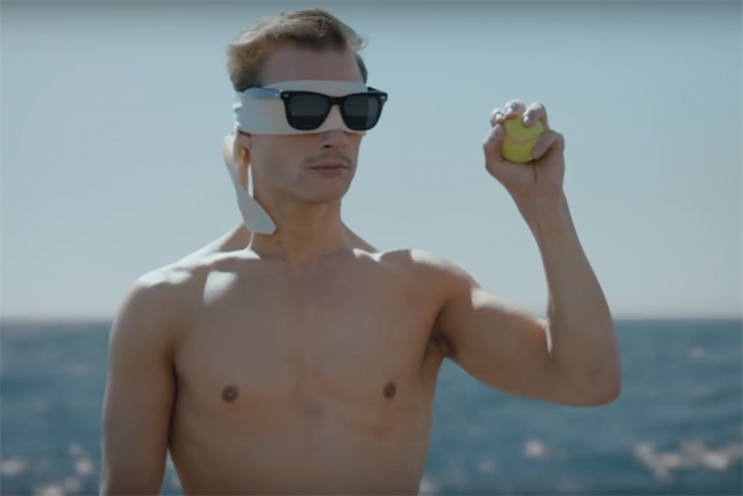 Men's skincare brand Old Spice has found a new frontman for its surreal ads, introducing him with the new tagline 'Legendary protection for legendary men'. The unnamed actor, who boasts a toned physique like earlier frontmen Isiah Mustafa and Terry Crews, appears in two spots where he struggles philosophically and heroically to adapt to the lack of limits on what he can do thanks to the power of Old Spice products. "A wise man once said ‘Sweat and body odour is your body’s way of telling you 'Hey, slow down'," he intones into a mirror. "But thanks to Old Spice Dirt Destroyer, the most powerful body wash ever made, my body will finally shut up and let me live." As the voiceover unfolds we see him riding a whale in the middle of the ocean and simultaneously hitting tennis balls served by a machine while being snapped by a pack of photographers. The other ad, for Odour Blocker anti-perspirant, shows him firing up a rocket car to break a speed record in a desert. "Thanks to new Odour Blocker I was free of sweat’s tyrannical rule over my body and I could push myself even further," he says, as the car accelerates into an explosive end.